That is why we at Renovations Roofing & Remodeling, Inc. offer a full maintenance service in addition to the quality roofing systems we install for all of our commercial clients. Even if your building doesn’t need a new roof, you can protect your investment right now by investing in one of our high-quality maintenance plans. As mentioned, maintenance of your commercial or flat roof is necessary to prevent extensive damage which can occur in a variety of ways if maintenance is left undone. We encourage all of our clients to take a proactive approach. To prevent damage and leaks, have a professional contractor inspection twice a year – in the spring and fall. Not only does this ensure your roof is prepared for the harsher weather of winter and summer. It allows your contractor to detect and repair the areas of your roof which have become vulnerable. A professional will be able to identify areas you might not see on your own. In many cases, the roof warranty requires regular inspections and maintenance. Moreover, it is often included as a condition to having your repairs covered by a manufacturers or contractor’s warranty. A thorough visual inspection, including an infrared inspection. Small general repairs and re-coating as necessary. Seams – As great as it would be for your roof to have no seams, this typically isn’t the case with any flat roof system. Any seam is vulnerable, whether it is two pieces of metal, two sheets of membrane or anything else. These seams are sealed carefully, and care should be taken to maintain that seal. 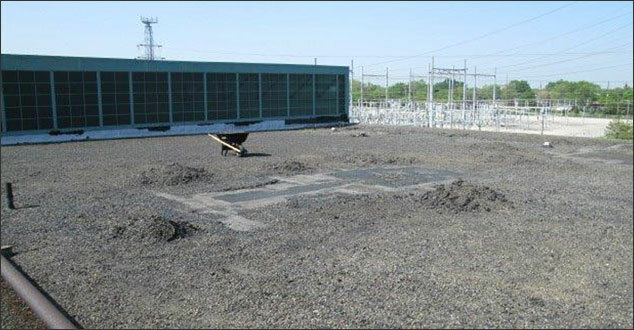 Penetrations – For many flat roofing systems, rooftop penetrations are necessary and planned. A/C units, skylights, vents, plumbing, doors, and other building functions are part of the system and must be maintained. All are areas where two pieces of material are joined and sealed. As a result, they are similarly vulnerable to leaks. Flashing – Metal pieces surrounding penetrations and vulnerable seams in your roofing membrane need special care and attention to prevent leaks as well. Fasteners – Loose fasteners can be disastrous for a flat roof. A flat roof is one continuous membrane. Thus, it is more vulnerable to wind than a shingled roof. If one area of your flat roof has a loose fastener or fasteners, the whole membrane is at risk of liftoff in a strong wind storm. Of course, this would mean significant damage and leaks inside your building. In summary, your commercial roofing system, even though it is flat and therefore safer to access, needs a regular maintenance plan. Renovations Roofing & Remodeling, Inc. offers a comprehensive flat roof maintenance plan to make your roof safe and budget-friendly for the length of its life. If your building is located in Southeast Michigan, contact us today for more information. Above all, we’re here whenever you need us!